Whether they recalled it personally or just heard stories from their parents or grandparents, a group of city ballplayers hit the pavement Saturday, Sept. 19 at the Second Annual Stickball Hall of Fame Challenge in Windsor Terrace. The 5th Street Boys from Park Slope and the Harlem Stickball All-Star Team battled for bragging rights. The game's organizers want to raise the sport's profile and say the sport has a long tradition here in the city. "As much it is a sport, it's also something that brought people together and that's really really what brings everybody out and why people remember the sport and old people constantly want to play it," said Jason Cusato, the filmmaker behind "When Broomsticks Were King." "We're older so if we want to keep this going. This has been going on from 1930. And if it's going to continue we have to get the kids to be able to participate in it and enjoy it," said George Osorio of the Harlem All-Stars. 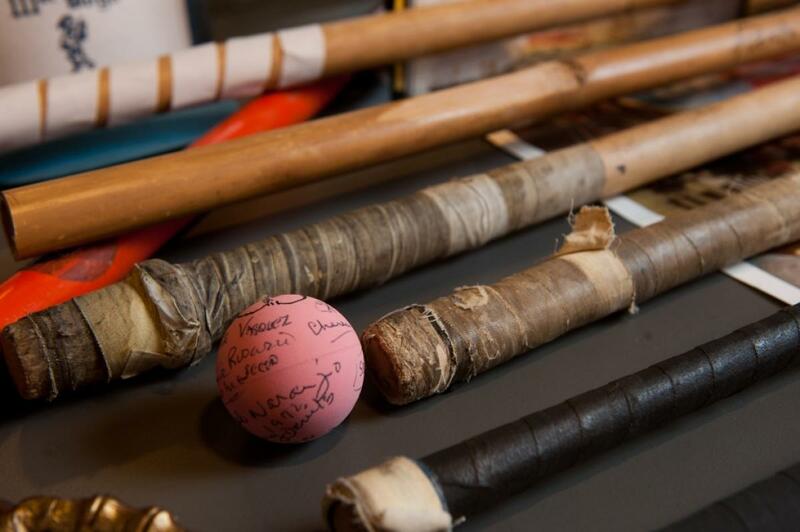 Organizers say they hope the city will designate one day a year as Official Stickball Day.